Face your opponent and use your fingers to perform incredible fighting techniques such as the Sword (1 finger) or the Snake (4 fingers). 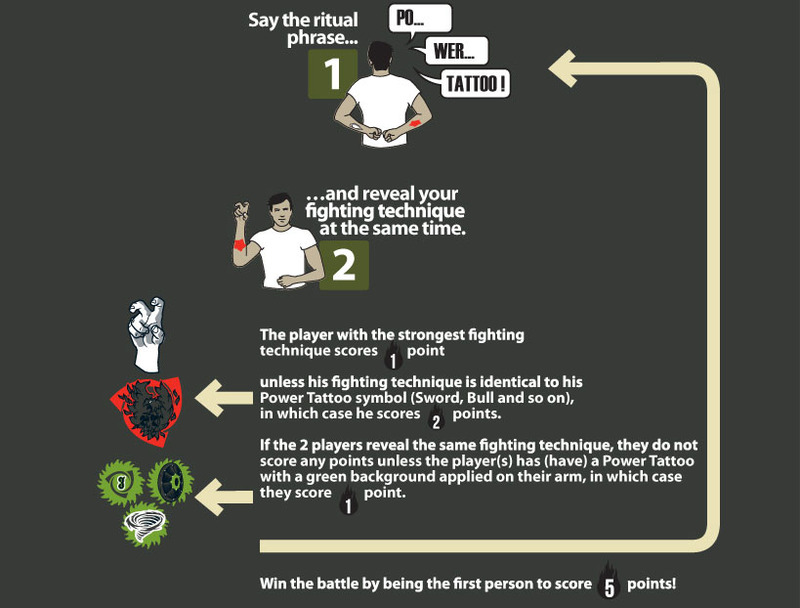 Unleash the powers of the Power Tattoos applied to your arms to change the outcome of the combat. First player to score 5 points wins the game! Get ready for combat by placing one Power Tattoo of different colors on the inside of each forearm.